I decided to go down the Malaysian path since there was still quite a bit of chicken curry left from the previous night. A favourite childhood dish of mine, I remember very vividly how I would demand 3 fish just for myself :) You may use the paste for a larger fish and bake it in the oven or grill over the bbq. There will be a few more Malaysian dishes on the way so stay tuned. I served this dish with a delicious spicy sweet soy dipping sauce (sambal kecap) - for the recipe click HERE. P.S Sardine can be a great substitute. Pound all spices til you get a fine paste, add in the tamarind paste and season with salt. Stuff spice paste into all cavities and cuts of the fish. Fry fish in batches til golden. Serve immediately as part of a Malaysian meal. I normally serve this wth sambal kecap. This recipe looks awesome! I love mackerel, and this looks like a great sauce to pair with it. Hey buddy you are using a lot of chilies these days :) Looks like a very delicious dish, what type of dry chilies do I get? Cheers buddy! I'm looking forward to more Malaysian dishes! I have never had anything but canned makeral...that is probably why I didn't like it. I will have to try it fresh...your recipe. Beautiful presentation with the fern leaves. I must confess I have never cooked mackeral before, now I know I must try this dish and a chance to make the dipping sauce too! I am loving your Malaysian week! I think I'll be using mackeral for the first time soon! Great looking dish btw! Oh this is my favourite too, even I had taken lunch now, but I still feel hungry, hahaha..Well done. Thank you! I am glad you like mackeral too, it is way under rated. Absolutely! Let me know how it goes! this is one of my all time favorite dish!! This is delicious with rice. I always go for this when I visit a Malay stall. I'm not too sure whether I can get this fish here. Maybe I can cook it with salmon or cod. yum yum yum yum!! I love dishes like that. We make it quite a lot at home too. heavenly! I am so excited about all the Malaysian food you are putting up, something I am not very familiar with. This is a wonderful dish and I can't wait to try this together with the sauce. Oh I'm sorry for causing you miss home! I was indeed! Thank you! I'm surprise so many people actually like mackeral. Oh thank you very much! You must have learnt so much from her! I think trout can be nice, sardine too. I am so glad to hear this! 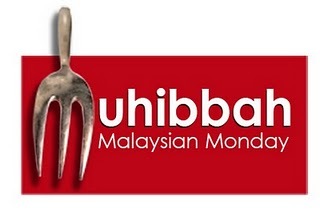 I hope you'll try the recipes, Malaysian food is rather underrated in this country. This sounds delicious! I love mackeral and this recipe is perfect! Great presentation! Ummm, yummy yummy. Looks like you are all putting good use of that mortar and pestle. Looks like a spicy, heavenly fish. Love the presentation. It looks wonderful! I think I would go for 3 fish for myself too! I like it spicy! The mackerel looks amazing stuffed with the flavorful spice paste! I'll have to special order the mackerel, but your recipe sounds amazing and really worth searching out the ingredients needed to make it. I love the spice paste that you've used and will do my best to recreate this lovely recipe. Ce plat de poisson doit être délicieux. Haha I was a little greedy :) Thank you! I am not a big fan of mackeral but really keen on the idea of using the paste for a bbq fish! ooooooooo.... looks very spicy hehe! This is one of my favourite dish. How do you get rid of the sambal smell from your kitchen? I guess you need to prepare another batch of this stuffed mackeral....we all want to come over! we are off to the Blue Ginger tonight darling! does that reminds you of a certain someone lol. We wish you are here with us tonight! I can't wait to eat this dish again!!! I wish I had brought back some tamarind paste from Penang. Been a long long long long time since I have had this fish. So yummy! I think I better get to the market soon! Thank you! I am glad to know it is popular in France, it is quite under rated elsewhere. Oh they do have the best belacan in Penang! Haha you must make some soon! Been away for the last few days, great to be greeted by this delicious looking dish! Haha glad you like this, thank you! Hi, where do you normally buy the candle nut? most good Asian grocers stock them. try the dried goods section.